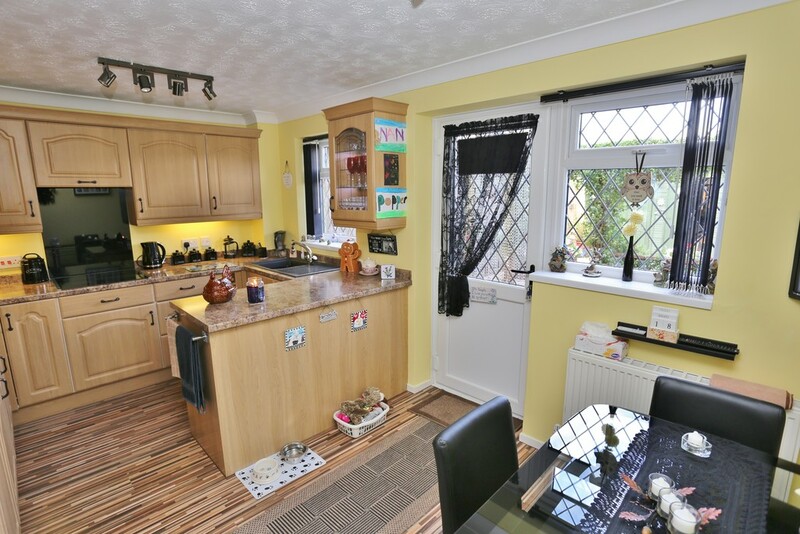 A beautifully presented three bedroom end terrace house situated within close proximity of local schools, Morrisons Supermarket, a doctors surgery, the port complex and the A14 bypass. 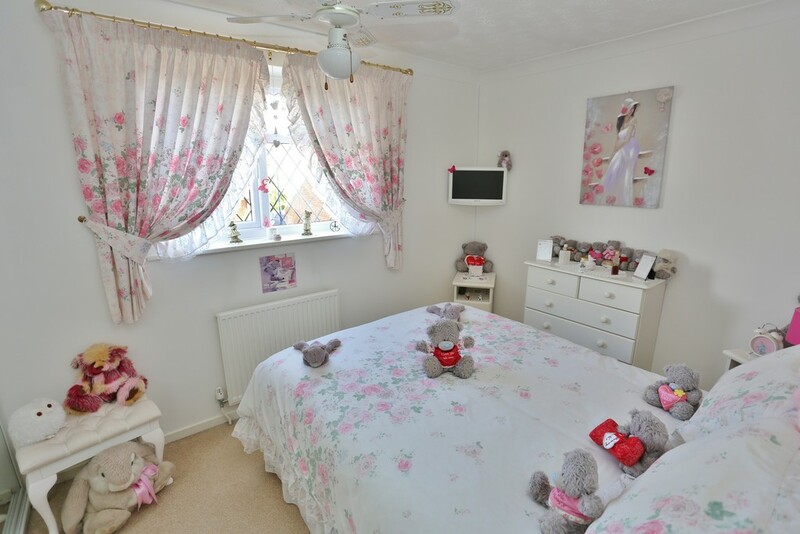 The property has been maintained to a high standard and benefits from gas fired central heating, cavity wall insulation and UPVC double glazed windows and doors. 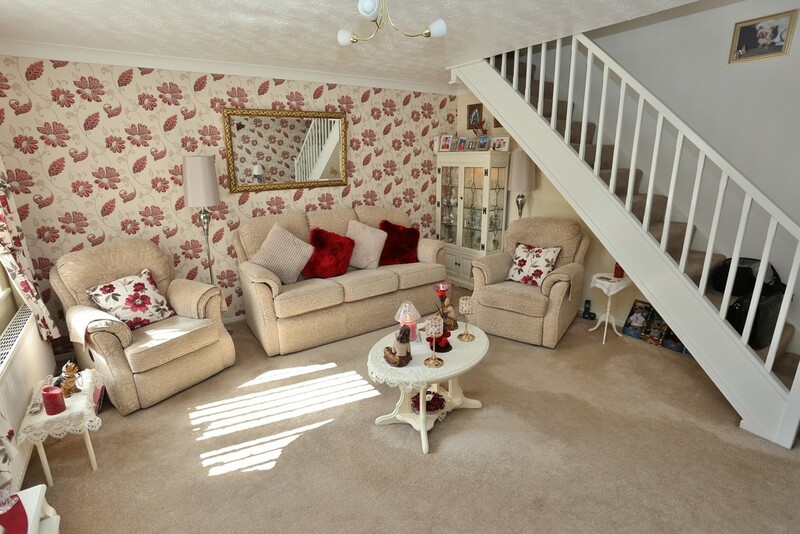 The accommodation comprises:- Entrance lobby, lounge, kitchen/dining room, utility room (previously attached garage), three bedrooms and bathroom. 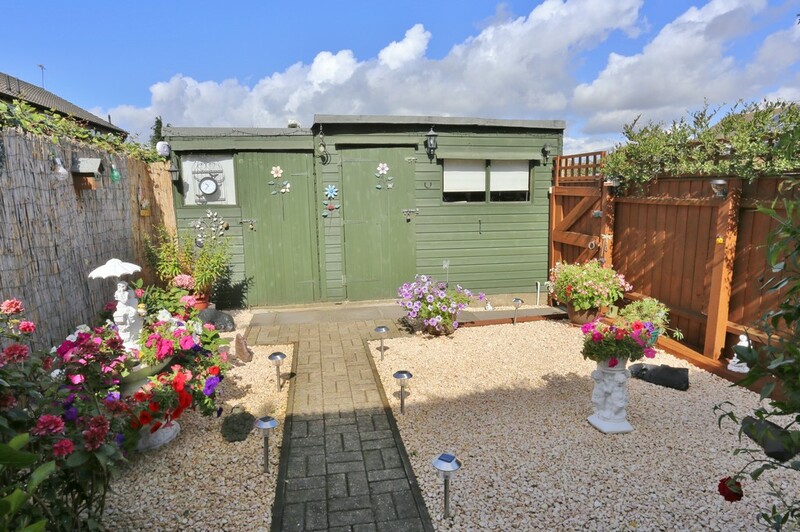 The property has attractive front and rear gardens and has the benefit of two workshops with power connected and allocated parking for three cars. ENTRANCE LOBBY UPVC double glazed entrance door. Fitted coat cupboard with gas and electric meters, circuit breaker and overhead storage cupboard. UTILITY ROOM (ORIGINALLY THE GARAGE) 15' 9" x 8' 3" (4.8m x 2.51m) Inset single drainer sink unit with drawer and cupboard under, continued work top with drawers and cupboards and space for washing machine and tumble dryer. Space for fridge/freezer. Tall standing unit. One double base unit. Access to insulated loft space. Wall hung Worcester direct gas fired boiler. 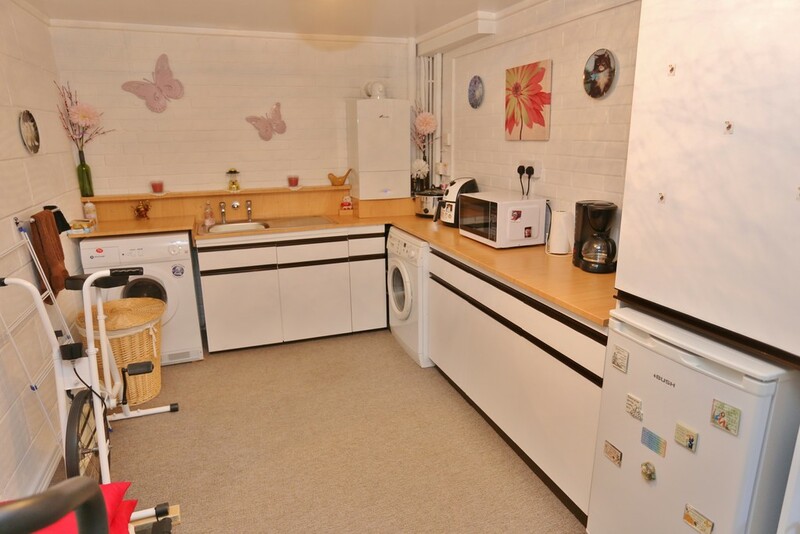 Please note the up and over door is still in situ, therefore the utility room could be re-converted back into a garage. FIRST FLOOR Access to insulated loft space. BEDROOM 1 (NORTH) 10' 6" to face of wardrobe x 8' 1" plus door recess (3.2m x 2.46m) Radiator. Large fitted wardrobe unit with mirrored sliding doors offering ample hanging and shelving space. TV aerial connection. 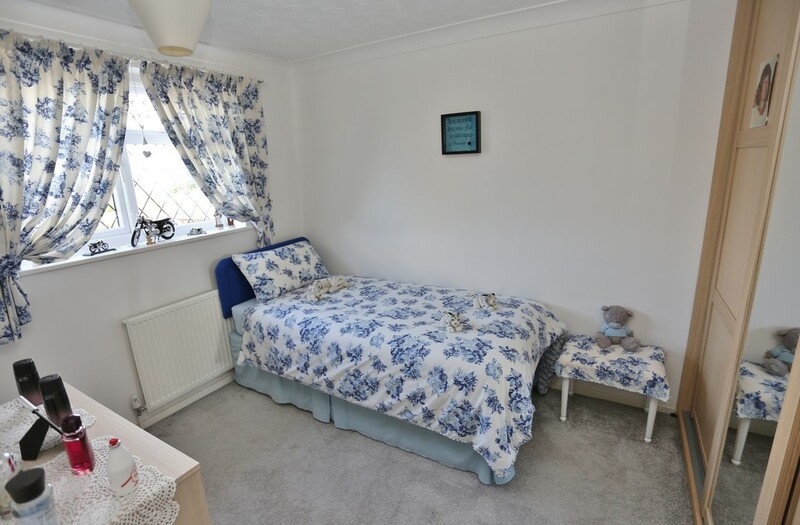 BEDROOM 2 (WEST) 9' 4" to face of wardrobe x 8' 1" plus door recess (2.84m x 2.46m) Radiator. Fitted wardrobe unit with sliding doors. BEDROOM 3 (EAST) 7' 7" x 6' 4" (2.31m x 1.93m) Radiator. 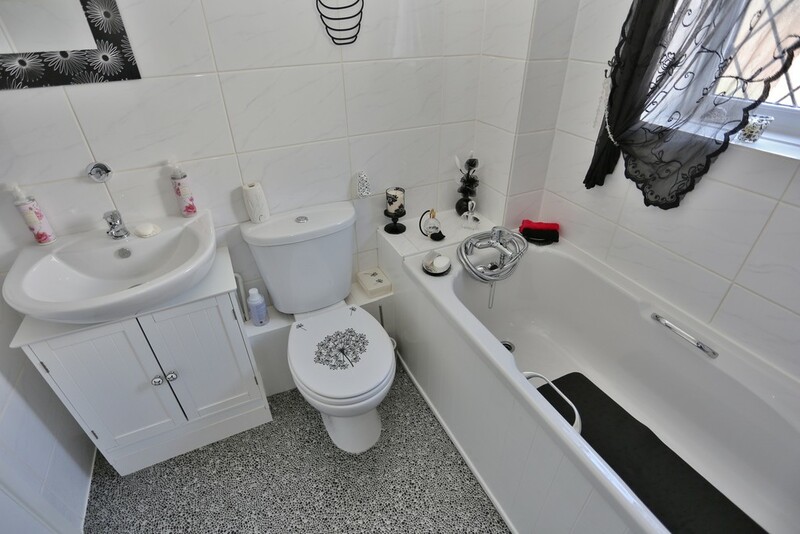 BATHROOM White suite comprising:- Panelled bath with mixer tap and hand shower attachment. Vanity wash basin with mixer tap. Low level WC. Fully tiled walls. Heated radiator/towel rail. Linen cupboard. 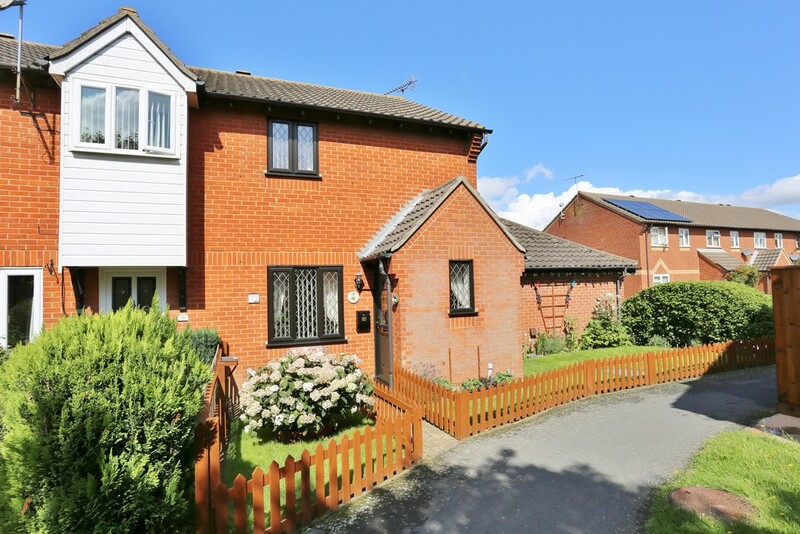 OUTSIDE The front garden is of open plan design, enclosed by a low level picket fence and mainly laid to lawn. 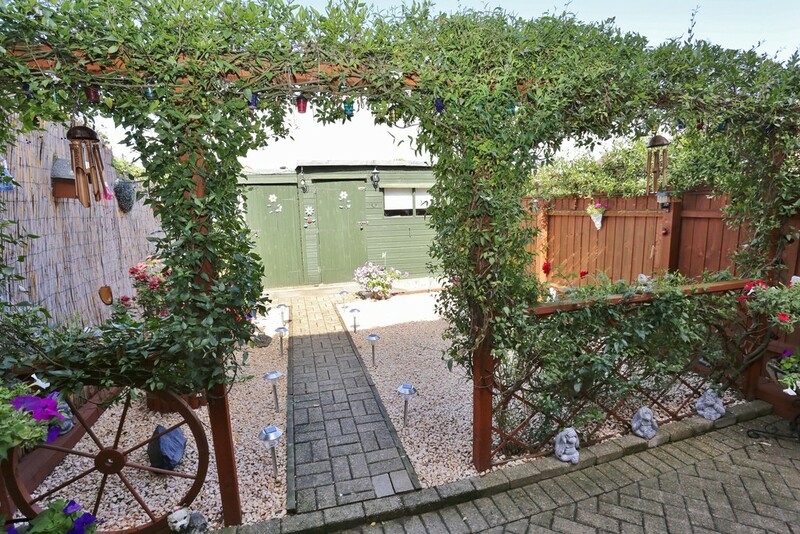 REAR GARDEN To the rear of the property is an attractively maintained west facing rear garden, approximately 40ft in depth with block paved patio. There are two timber built workshops/sheds (10'x8" and 11'5" respectively), both with power and light connected. Pedestrian side access leading to parking area with allocated parking for three vehicles.